The big draw of the Blue Cash Preferred® Card from American Express is 6% cash back at U.S. supermarkets (on up to $6,000 per year in purchases, then 1%). 3% cash back at U.S. gas stations, 1% cash back on other purchases. With the yearly $6,000 cashback limit in the U.S. supermarket category, it’s still one of the most generous among cashback credit cards. 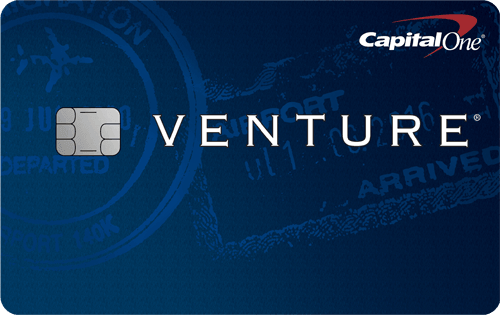 New cardmembers receive a $200 statement credit after you spend $1,000 in purchases on your new Card within the first 3 months. The $200 statement credit offered by the Blue Cash Preferred® Card from American Express is among the higher cashback offers, but the $1,000 in purchases within the first 3 months is also higher compared with other cards. The card has a $95 annual fee. It’s all about the cash back you earn for supermarket with the Blue Cash Preferred® Card from American Express. If you spend up to the limit of $6,000 a year at U.S. supermarkets, you’ll earn back $360, which more than covers the card’s $95 annual fee. You also earn 3% cash back at U.S. gas stations, which is one of the higher percentages in the cashback card category. You receive cash back on the Blue Cash Preferred® Card from American Express in the form of reward dollars that you can redeem as a statement credit. You can redeem reward dollars for statement credits in increments of 25 whenever your total balance is 25 or more, at a credit of $1 for every reward dollar redeemed. After you spend $6,000 at U.S. supermarkets, the cash back you earn on the Blue Cash Preferred® Card from American Express drops from 6% to 1%. New cardmembers may not think it’s worth spending $1,000 on the card in three months just to earn a $200 statement credit, but it’s more than double the card’s $95 annual fee. That $200 credit is also higher than most of the other cards that offer a cashback bonus. Unlike other rewards credit cards, you can’t transfer your reward dollars to an airline or hotel loyalty program. You have to redeem your cash back at American Express’ rewards website rather than the more popular Membership Rewards portal. If you make purchases outside the country, you’ll pay a foreign transaction fee of 2.7% of each transaction after conversion to US dollars. You need Excellent/Good credit to open this card. You’ll lose your reward dollar balance if your account is canceled for any reason. Access to a 24/7 global assist hotline for help with medical, legal, financial or other select emergency coordination and assistance services. Return protection on retail items. Unlike the Blue Cash Preferred® Card from American Express, the Bank of America® Cash Rewards credit card has a $0 annual fee. New cardmembers earn $200 online cash rewards bonus after you make at least $1000 on purchases in the first 90 days of account opening. You earn 3% cash back in your choice category, 2% cash back at grocery stores and wholesale clubs for the first $2,500 in combined choice category/grocery store/wholesale club quarterly purchases & 1% cash back on every purchase with the Bank of America® Cash Rewards credit card. But if you spend $2,500 a quarter for a full year with this card, that totals $10,000, which is more generous than the $6,000 annual limit with the Blue Cash Preferred® Card from American Express. While the Bank of America® Cash Rewards credit card doesn’t offer the same perks as the Blue Cash Preferred® Card from American Express, it does allow you to earn a 25%-75% bonus every time you redeem your cash back into your Bank of America checking or savings account if you’re enrolled in Bank of America’s Preferred Rewards program. Your rewards don’t expire with the Bank of America® Cash Rewards credit card and you don’t have to register every quarter to participate in the changing bonus categories. The Blue Cash Preferred® Card from American Express offers one of the most generous cashback rewards in the supermarket category, at 6% cash back at U.S. supermarkets (on up to $6,000 per year in purchases, then 1%). 3% cash back at U.S. gas stations, 1% cash back on other purchases. So if you spend a lot at supermarkets, this card is a great option. But remember: if you spend more than $6,000 a year, that generous 6% cash back for U.S. supermarket purchases decreases to 1%. 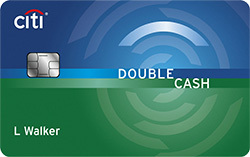 Other credit cards have higher cash back and points without limits in the U.S. supermarket category. They also offer more cash back and points in key segments like travel and dining. Before applying for the Blue Cash Preferred® Card from American Express, decide whether the Welcome Offer is worth the spending —earn $200 statement credit after you spend $1,000 in purchases on your new Card within the first 3 months. Compared with other cards that offer points for sign-up bonuses, the Welcome Offer for the Blue Cash Preferred® Card from American Express may not make it worth your while, especially since the card comes with a $95 annual fee. While the Bank of America® Cash Rewards credit card has a $0 annual fee, the cash back and perks aren’t as good as the Blue Cash Preferred® Card from American Express. But you can earn bonus cash back on the Bank of America® Cash Rewards credit card if you’re a checking, savings or Preferred Rewards customer. And you don’t have to keep track of points offered in different categories. If you do enough spending on the Blue Cash Preferred® Card from American Express — specifically $1,584 a year at U.S. supermarkets — the $95 annual fee will be covered. So you have to decide whether the $95 annual fee, better cash back and perks of the Blue Cash Preferred® Card from American Express are worth it.